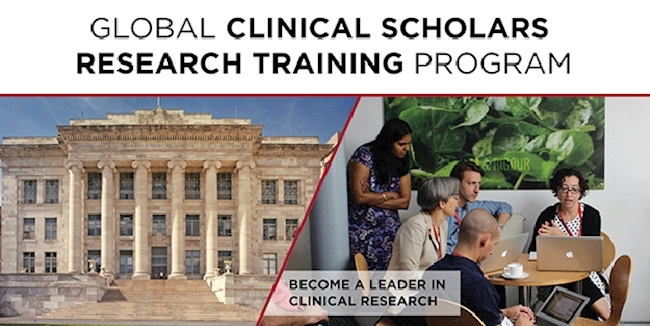 The Harvard Medical School Global Clinical Scholars Research Training (GCSRT) program provides clinicians and clinician-scientists advanced training in the methods and conduct of clinical research. The program’s blended-learning approach combines residential workshops, live webinars and self-paced online lectures, enabling clinician scientists from around the world to participate. The program is comprised of nine (9) foundation courses, a concentration in either advanced epidemiology or clinical trials and a choice elective (drug development, secondary analysis of clinical trials or survey design). The 2019-2020 program will enroll three global cohorts: Boston, London and Shanghai.